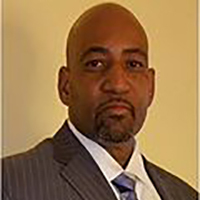 Ken Williams is a former Boston-area homicide detective and expert witness consultant in wrongful death cases. Mr. Williams is retained by civil rights attorneys to evaluate and render unbiased opinions in officer-involved shootings and other deaths. He has appeared as a subject matter expert in print and television media and has been featured as a public speaker at law schools and community forums. Mr. Williams frequently works pro bono for families and non-profits seeking expert help in wrongful death cases. In 2014, the Southern Christian Leadership Conference & Partners Ethics Project sought Mr. Williams for an unbiased opinion concerning Darren Wilson’s grand jury testimony and a review of physical evidence in the Michael Brown case. The analysis discovered nonpublic material facts which the SCLC delivered in letter to the Missouri State Senate Panel tasked with investigating possible prosecutorial misconduct. He frequently provides forensic analysis of surveillance video and other technical assistance in high profile officer-involved fatalities.